This guide to types of doors is in alphabetical order. Most of these types are available as internal doors and external doors in a variety of woods, finishes and colours. Use our guide to measuring to find the size of door you need and then use this guide below to find our which type of door you’d like. Bi-fold doors fold shut within the door frame which saves space on a door that opens traditionally. The door doesn’t open into or out of the room, the two sections of the door just fold left or right. There’s a pivot hinge on the frame and no track on the floor so there’s no hazards or obstructions to young children or wheelchair users, for example. A composite door is a door that’s made from a mixture of materials to give strength and durability to the construction. For doors this make-up usually includes a solid timber or a particle board core which is set inside a wooden frame and faced with a GRP coating. Composite doors are inexpensive and virtually maintenance free. Concertina doors are similar to bi-fold doors except they feature more than one fold and they don’t have hinges. They’re usually manufactured from strong PVCu so they can fold and unfold in varying sections depending on the width of the door. These types of doors are more commonly found in kitchen pantries, walk-in wardrobes and other storage or utility areas. 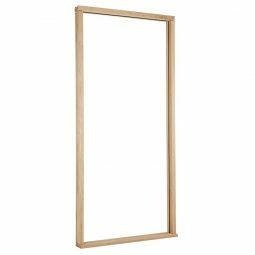 Dowel doors are made from many pieces that are all manufactured separately. Throughout manufacture, round dowel holes are left in the timber so they can all be jointed together using dowels. The dowel holes are filled with glue and the dowels are inserted. Then the door is placed in a press until dry. Engineered doors are the most common type of mass-produced door. Solid strips or blocks of timber are glued together and faced with a decorative varnish or veneer to give an attractive final finish. Varying thicknesses and materials can be used and then the door grain can be matched with a thick piece of wood around the outside as lipping. Engineered doors are often more consistent in their style of wood thanks to panel matching. Fire doors are a life-saving product that are manufactured to very specific guidelines to give occupiers of a building more time to escape in the event of a fire. 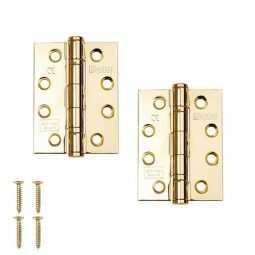 FD30 or FD60 doors are certified in accordance with British standard BS 476 Part 22 or the European equivalent BS EN 1634 Part 1 to hold back fire and flame for 30 minutes (FD30) or 60 minutes (FD60). Heavier and thicker than regular internal doors, fire-rated hinges, fire-rated door frames, and intumescent sealing strips must also be fitted to complete the system. 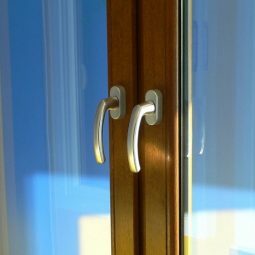 French doors, also known as double doors in the UK, are a pair of doors that have hinges allowing them to open outwards. The dramatic effects of these doors, not to mention the fact that they often feature a lot of glazing, means they’re often used between dining rooms and living rooms, and out into patio areas. Many finishes, materials and styles are available. Flush doors are plain, flat doors that have no design features on either side. They’re very simple and elegant, with high quality manufacture and varnishes available to give many different final finishes. Hardwood doors are dense, strong and durable thanks to the timber they’re manufactured from. Hardwood is more resistant to decay and because it’s more durable, it’s more suitable than softwood for use externally. External hardwood doors can feature a lovely high-density grain finish due to the nature of the wood. Common hardwoods are beech, walnut, mahogany, and oak. Ledged and braced doors are standard timber doors with horizontal and diagonal braces across the top, middle and bottom, and diagonally from one corner to the other. Usually for internal use only, the boarding is visible and gives a rustic charm, perfect for listed or dated buildings and interiors. Mortise and tenon doors are somewhat more durable and sturdy than dowel construction joints so they’re suited for use externally. The joint is created by forming a tongue from the cross rails and fitting this into a slot in the stile with glue and then driving in wedges from the outside to secure the joint. Moulded doors are essentially flush timber doors with a layer of MDF or other similar material on the front of the door to give detailing and a textured finish. Panelled doors are very traditional and feature an outer frame with flat, raised or sunken panels to give the design. This type of door is named after how many panels the door has so doors with 2 panels are known as 2-panel doors. Making this distinction is helpful for matching new doors to the same design as existing internal doors. 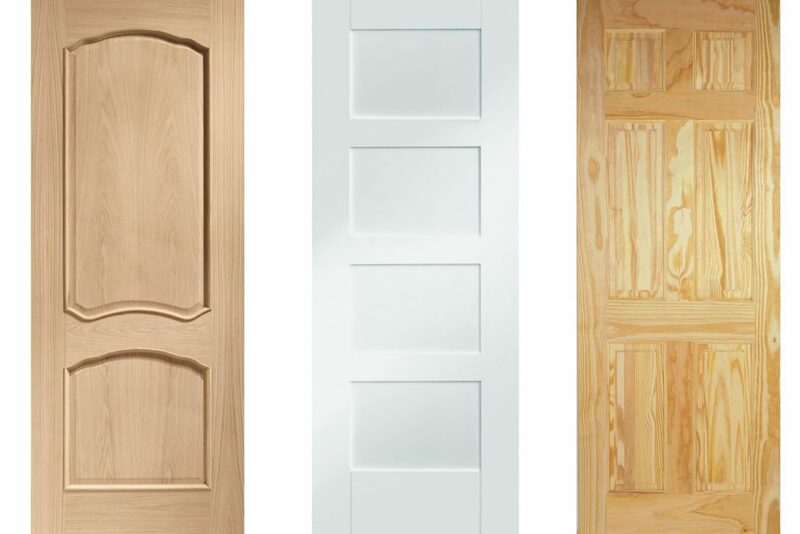 Above are a range of examples of 2, 4, and 6 panelled doors. Part L compliant doors comply to the building regulations in approved UK documents relating to the conservation of fuel and power. It details how thermally efficient a door must be and most new build external doors have to meet these regulations. However they may be chosen by homeowners of their own accord as they will make the whole home more environmentally friendly. Pre-finished doors have been factory treated during manufacturing so that they are ready for a hassle free installation once delivered. Often pre-finished doors have holes for handles and hinges that have been factory cut so for consistency across all internal doors, pre-finished doors are the ones to opt for. A room divider is an internal pair of doors between two rooms or inner porch door, as shown in the image below. A side light is a transparent, opaque or stained section of glass at the side of a door frame which gives an air of elegance to a doorway. Particularly common for external front doors, sidelights can be single-sided or double-sided on whichever side of the door you have space on. Sliding doors open by sliding sideways inside of opening into a room. This type of door is a good space-saver for busy family homes, especially where every piece of floor space is needed or where a door opening into the room might clash with furniture. 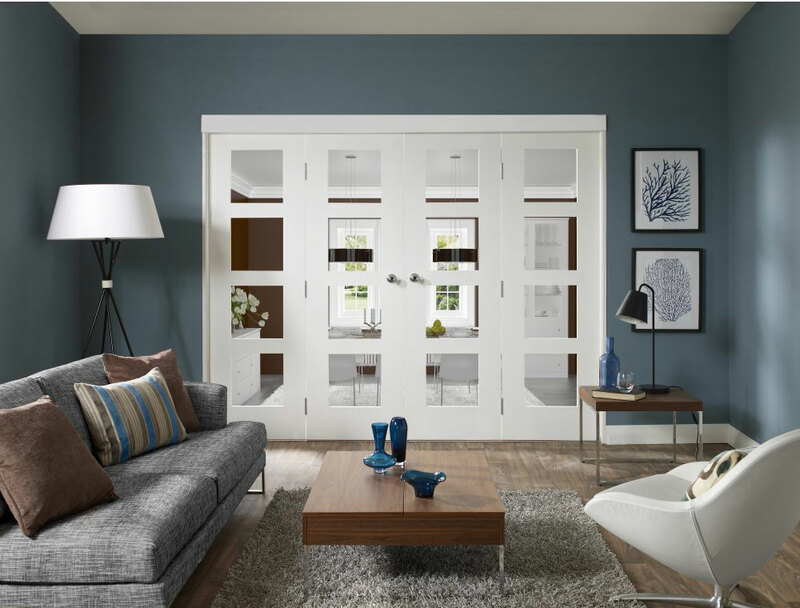 Also known as pocket doors, sliding doors can slide on a track across a wall or they can slid into a cavity in the wall. A stable door is most commonly found to and from a kitchen thanks to their make-up. These types of doors open in half so they can be opened at just the top or just the bottom. Stable doors are perfect for letting air into a kitchen without letting out small children, or pets!